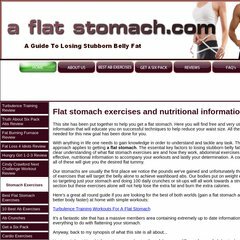 Topics: Best Flat Stomach Exercises, Ab Crunches, Get A Six Pack, Cardio Exercises, and Alternatives To Crunches. The site has about 101 users daily, viewing on average 1.50 pages each. It is hosted by American Registry For Internet Numbers (Virginia, Chantilly,) using Apache web server. A-flat-stomach.com's server IP number is 69.89.31.247. Its 2 nameservers are ns2.bluehost.com, and ns1.bluehost.com. Its server speed is measured at 1192 milliseconds.